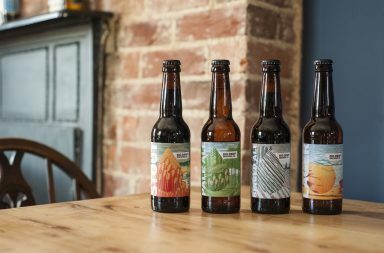 For many breweries and wineries, creating a sustainable brand presence is of vital importance for visualising their own quality aspirations as well as their company identity. 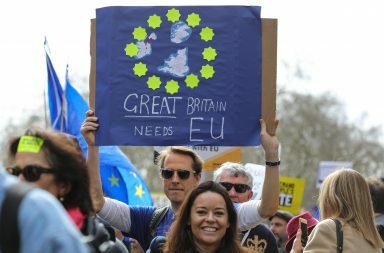 Besides the text-based word mark, there is, in most cases, also a visual brand, based on a picture or image, which in itself can serve as the main identifying feature. Various printing processes and a vast array of other possibilities have meant that labels on bottles or cans have always been used for brand communication. 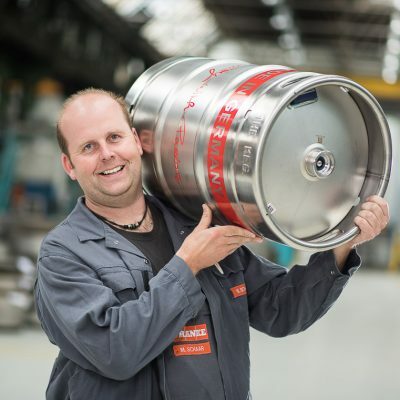 For stainless steel kegs – and this may not necessarily be common knowledge –, there is also a great variety of ways to achieve and present the required corporate branding. 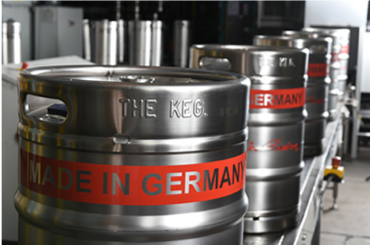 The labelling options described in this article can be applied directly to stainless steel kegs. 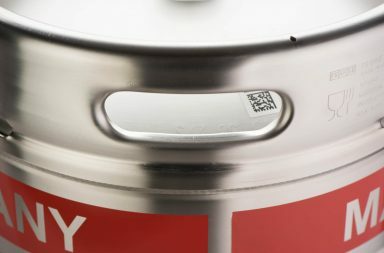 On stainless steel kegs, the top chime is the most frequently used position for indicating the respective brand name. In this method, the required name and any relevant graphic elements are embossed in a press onto steel strips cut from coils. 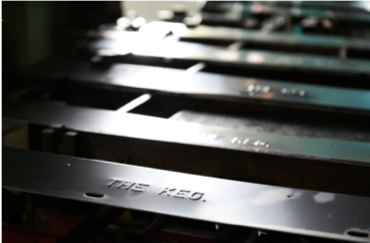 Besides top chime embossing, silk screen printing is one of the preferred methods for raising brand awareness, especially in the USA, but increasingly in other regions, too. The reason for this is quite simple: besides your own lettering, more complex graphics can be elaborately and colourfully applied to the keg body. Ideally, this means exact reproductions of both word and image brands can be achieved. Depending on the customer’s wishes, and on the keg surface available, multi-coloured solutions are also possible. 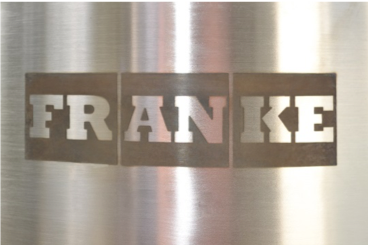 Silk screen printing, therefore, provides the best and highest quality method of achieving a consistent presentation of your corporate branding on a stainless steel keg. Another form of colour labelling is the use of coloured rings. This always tends to be used whenever the keg stock needs to have uniform labelling, but where complex graphics are not necessary. This enables you to identify your own kegs immediately, especially in mixed keg stocks. In addition, stainless steel kegs which are only to be used for particular brews or brands, for example, can also be given an individual coloured identification with this method. The rings can be applied in the customer’s own individual colours and can be printed on the keg body according to customers’ wishes and needs. .
A single-colour solution for applying a logo to a stainless steel keg is the electrochemical singature. This process is based on the interaction of electricity, voltage, time, electrolyte and stainless steel. To prevent subsequent corrosion, a special neutralyte is used after the process. Besides these technical pre-conditions, a templaste is required for the signing process. This is produced according to the customer’s requirements and is placed on the keg body during the signing process. 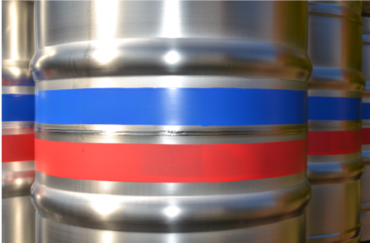 The result is a robust marking on the keg’s exterior surface. A further way of customizing your kegs is to use brand-specific stickers, which can be coloured banderols or stickers with complex graphics and images. To make sure the stickers have the right length and height, both the keg circumference and the available space on the keg body have to be taken into account. A brief consultation with the sales department should provide the necessary information. As a special service, customers can provide us with their own stickers which can then be applied directly during the keg manufacturing process in accordance with their specifications. 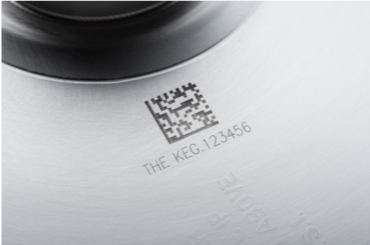 Primarily, laser inscription is suitable for customer-specific keg numbering and the appropriate machine-readable QR-Codes for improving keg management and control. Synchronisation with RFID transponder data is also possible.